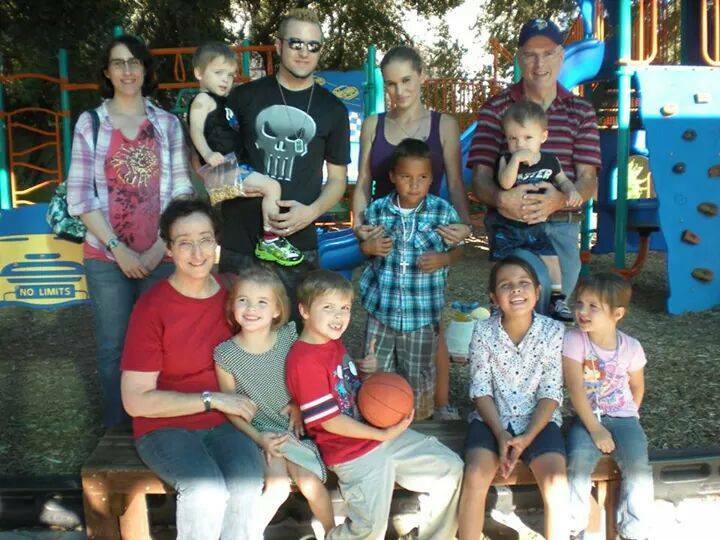 The unthinkable happened to a family in Arizona. Their three-year-old daughter mysteriously collapsed while her parents were away from home, and she died shortly after. As horrible as that tragedy was, Khloe's death was only the beginning of the devastation to the Shoars family. Child Protective Services immediately came in and took away all seven of their other children, placing them in various foster home settings around the area. The children now don't have their parents, or even each other, as they try to grasp what has happened to their sister. None of the children, ranging in age from 2 to 9 years old, have been placed with family or friends, and they cry to come home. They don't understand what has happened, and neither do their parents, Jeff and Tabitha Shoars. "It's like a bad nightmare you can't wake up from," says Jeff. No charges have been filed against anyone, yet the state of Arizona has already begun the TPR process, Termination of Parental Rights. ok here is August 24,2018 I just read about this family and I was wondering if they have been returned to parents? I think it’s horrible what CPS has done!! Has the autopsy come back was there follow play with child’s death? So many questions but no answers that I can find ! Admin said: > The unthinkable happened to a family in Arizona. Their three-year-old daughter mysteriously collapsed while her parents were away from home, and she died shortly after. As horrible as that tragedy was, Khloe's death was only the beginning of the devastation to the Shoars family. Child Protective Services immediately came in and took away all seven of their other children, placing them in various foster home settings around the area. > > The children now don't have their parents, or even each other, as they try to grasp what has happened to their sister. None of the children, ranging in age from 2 to 9 years old, have been placed with family or friends, and they cry to come home. They don't understand what has happened, and neither do their parents, Jeff and Tabitha Shoars. > > "It's like a bad nightmare you can't wake up from," says Jeff. > > No charges have been filed against anyone, yet the state of Arizona has already begun the TPR process, Termination of Parental Rights. We are proud to announce that the Shoars case in Arizona has been fully DISMISSED!! Did the children ever get back home? Tabitha please share your Go Fund Me page so we can all share it on our pages and can hopefully help your a little bit further. God bless you and your family. My name is Carol. CPS took my best friends daughter away from her in 1995. During a six-year trial, and they were found not guilty because their daughter was sick. They still in acted parenteral termination and took her away from them. They are crooked and dirty and nobody is watching over them. I cannot believe after twenty years that nothing has changed. This is unacceptable this is shocking. This is an outrage. We should all join together to help this family. I am just absolutely shocked and beside myself at reading the story. When does this insanity end. Put these children back with their family and stop torturing families. CPS is in desperate need of a management overhaul. At what point do we stop letting them kidnap our own children? Any word on what they are going to do about the CPS in court and when children will be returned? Cps is taking all of Arizona children away from there family, they are dirty and just don't care and its sad because some workers really want to do right by children and families. there so busy taking the wrong children that the ones that truly need there help never get it. WOW! How long are we going to sit here and allow CPS to put our children with pedaphiles and child abusers, after ripping them out of good homes for imaginary reasons? The need to be stopped and STOPPED NOW!!!!! Thank You and everyone for sharing because the truth needs to be heard! No matter if it's unique or rare! Reality is reality, and that's what we must be aware of and fight for all possibilities for our children! Did someone recently say that we were slowly but surely entering into third world country status? Sounds to me like we are at least partially there already. This situation certainly sounds like the loss of our freedoms is heading very sorely in the wrong direction. Sadly, "Just do what they say" doesn't work all that often, because so many of them are not people of goodwill. 1) Retrieve such records as you can under data protection and freedom of information legislation\ 2) Ascertain the rules of procedure under which CPS are supposed to work 3) Correlate 1) and 2) above and start complaining in all sorts of directions about specific breaches of official procedures by specific individuals within the CPS. My kids were molested and I cry once a week with them we are just starting counseling and if u have any advise for me ,my ears are open. I lost them from a diaper rash that was caused from thrush that was being treated by antibiotics they targeted me cause I have five kids. I did everything and more to get them back. I even fought god after I just got them back. I got hit by a drunk driver died twice and came back. I walk with a Cain and lost my job but each full day I get with my kids is way worth my disability. Your mom loves you and I know only Three out a hundred got there kids back and everyone that lost there kids only lost them cause they couldn't afford to go to the classes cause most of them only had welfare. I saw those men women breakdown every single one. Then the feeling sent them back on drugs they do test on parents they'll say at the beginning that the adoption has started and approved then they drug test the next day after lying to the moms and dad's they want every parent to fail. Cps purposely makes it I'm possible to do these classes. At least my lawyers did warn me about all the sexual abuse he told me that it just happens and nothing he can do to prevent or stop it from happening. .